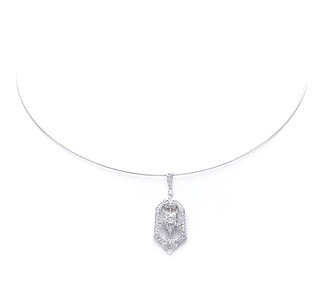 This delicate diamond pendant necklace features an intricate pattern of pave diamonds. The central flower shape also has a round bezeled accent diamond. 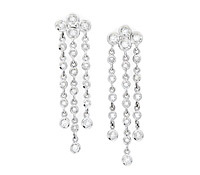 Other chain lengths and types can be requested for this bridal jewelry rental piece. Diamonds: .41 TW | Gold: 18K White | 16 in. | Pendant: 1 in.